If you have already viewed Part One: Environmental Factors and completed the companion work guide, you have been introduced to the concept of aligned course design and have a better understanding of how such factors shape and influence this process. 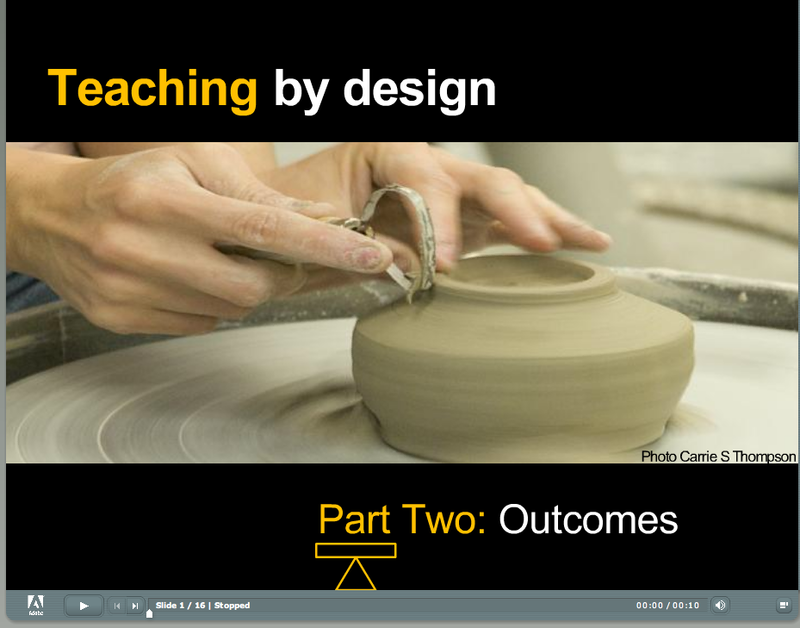 In Part 2, I talk specifically about learning outcomes. As part of this brief narrated presentation, I’ll provide a working definition of learning outcomes and explain why writing clear learning outcomes are important for teachers, students, and the aligned course design process. I provide a couple of examples to help illustrate these concepts, but as you listen to the presentation, think of how they might also apply to the courses you are designing and teaching. You’ll find the PDF conveying the Puzzling Over Course Design narrated presentation in the Teaching by Design section. I believe that the time you spend on crafting your student learning outcomes is worth the effort. Clear student learning outcomes will help you efficiently focus the rest of your course planning efforts. To assist you in this process there are links to several resources in this tapa, including the handout “Effective Use of Performance Objectives for Learning and Assessment” and Dee Fink’s Guide to course design.